That's my "one word" for this year. I didn't choose it; it just is. It had to be. I was time. 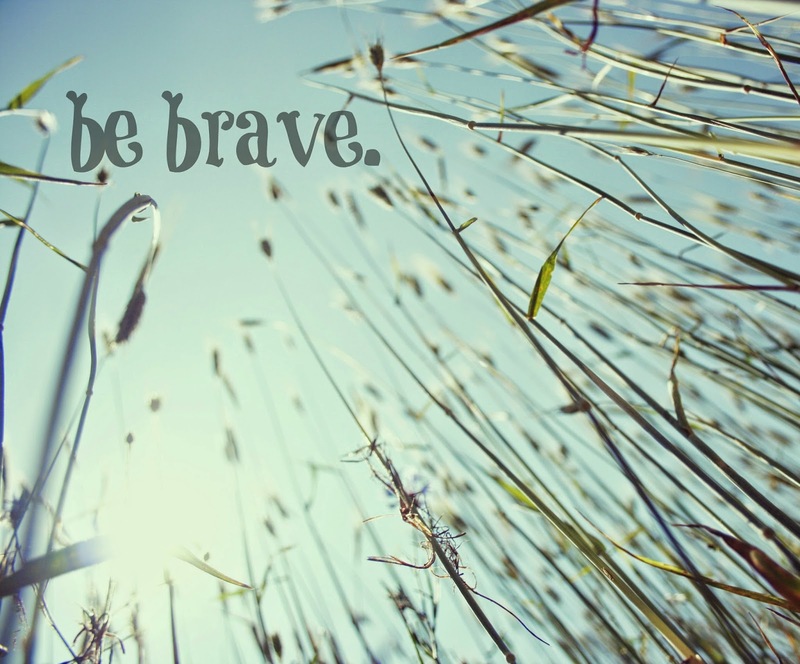 So how am I doing with being brave? Mostly I think I'm doing well. Sort of I think I can be braver. Finally got bloggy business cards. Asked to attend an event as a blogger. Joined a support group for women entrepenuers (still not convinced I am one, though). Sent a very honest email to my daughter's principal and school counselor about how disappointed I was in them. Not outside my comfort zone, but something I don't want to diminish for myself just because it's something I always do, is, of course, helping my husband deal with his medical complications, which have been so in our faces lately. This is my second year with a word to focus on. I must say, I find it to be very powerful. It is ever present, like I see it somewhere out in front of me all the time. It's just out of arm's length, making me chase it. Not that I've let go of all fear. There's still some. They say that having courage isn't an absence of fear, but rather doing the thing that scares you, anyway. That's what I'm trying to do. As it turns out, this is also something I'm trying to teach my son. He probably doesn't have any idea of the fears I have. Hopefully that means I'm setting a good example. Twenty-fourteen has been an interesting, mixed bag of a year so far; lots of ups and downs. I can't decide if I'm eager or trepidatious to see what's to come.